Being struck by a falling object on a construction site can cause absolutely devastating injuries, and if the object is heavy enough, its velocity can cause extreme injuries or be fatal. 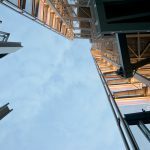 When a mistake is made on a construction site and someone is hit by a falling object, it is important to seek justice for the victim or the victim’s family. Construction sites can present many dangerous conditions for individuals working at the site. 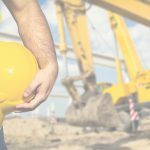 When people think of construction injuries, they usually assume they were injured by equipment malfunction or falling, but some of the most serious construction site injuries occur as the result of falling items. Unfortunately, many falling object accidents at construction sites could have been prevented, so when the property owner, supervisor, manager, contractor, subcontractor, or equipment maker fails to put the safety of workers first, they should be held responsible for the harm caused. 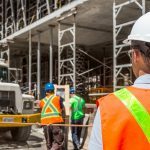 Suffering a construction workplace injury can be very stressful, so let our experienced attorneys, who understand the complex laws that apply to these cases, provide you legal support. Don’t hesitate to contact our team today by filling out our form or calling 1-800-590-4116. We are hard-working lawyers for hard-working people.